Alabama went from barely getting in to the College Football Playoffs to the favorite to win it all after defeating Clemson, 28-6, in the Sugar Bowl on New Year’s Day. The fourth seeded team was installed as a 4 ½-point favorite to defeat the other semifinal winner, Georgia, who defeated Oklahoma in double overtime, 54-48. The two will meet in Monday’s National Championship game at Mercedes-Benz Stadium in Atlanta. This will be the third title game Nick Saban’s program will appear in, having defeated Clemson in 2016 and losing to the Tigers last year. They are the only team to play in all four College Football Playoffs, since the four-team format was instituted in 2014. 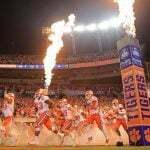 This was the first appearance in the CFP for the Bulldogs, who won the SEC Championship and are seeded third. Georgia was a 2 ½-point favorite to beat Oklahoma and reach the final game of the college season. This will be the first time two teams from the same conference will meet for the national championship since 2012 when Alabama defeated LSU, 21-0 to win its 14th title. While they were chosen to beat the Sooners, Georgia is an underdog against the Crimson Tide. The Westgate Las Vegas SuperBook set the line at 4 ½ shortly after the Sugar Bowl. Most of the other sports books followed suit, though the Wynn and MGM Mirage have the odds at 4 points. 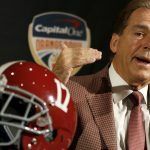 A majority of the offshore sites have the odds at 4 ½.
Alabama had been the top selection to win the national championship since before the season began. They opened as the 3-1 favorite and were 17-10 after the regular season ended the first week of December. Georgia was 30-1 in August but has been lowered to 3-1. 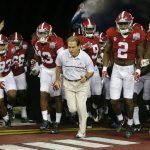 According to the Sporting News Alabama has been favored in 110 of its last 111 games. The last time it wasn’t picked to win was Oct. 3, 2015 when ironically it faced the Bulldogs. The Crimson Tide won, 38-10 and the two teams have not played each other since. The two teams are in the same conference but in different divisions and though they have not faced off in two years they are plenty familiar with one another. 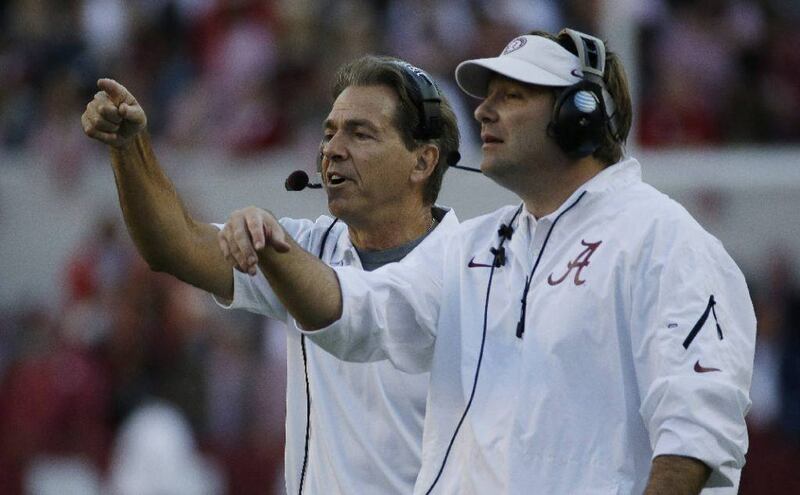 Georgia Coach Kirby Smart served as Saban’s safeties coach in 2006 and followed him to Alabama eventually becoming the defensive coordinator before leaving in 2015 for the Georgia job. Saban has an impressive record against his former assistants. He is 11-0 against them and all of the victories came by a margin of more than 14 points. The site of the title game should help Georgia, however. It is being played at the home of the Atlanta Falcons, just an hour away from the school’s campus.